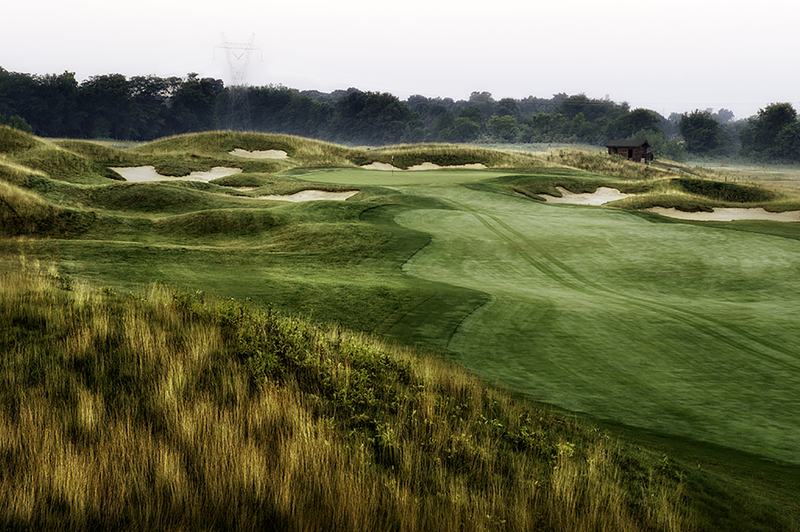 This par 4 hole is completely lined with bunkers, which make the fairway look narrower than it actually is. 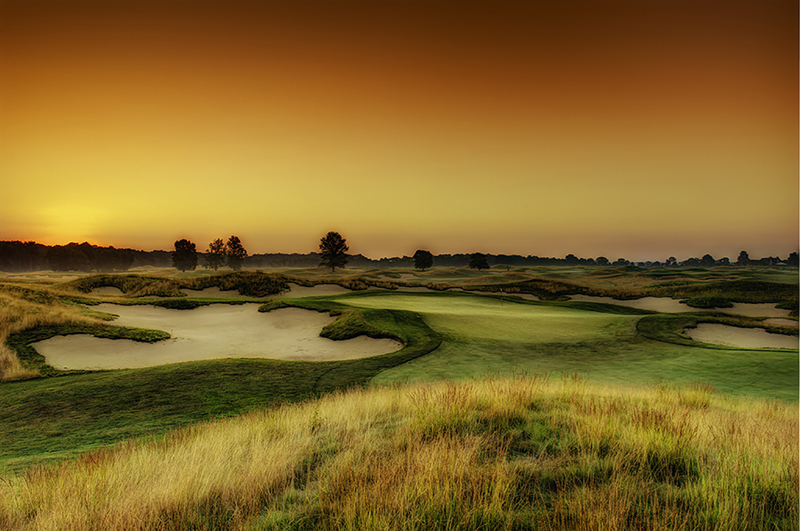 When you get to the green and look back towards the tees, the bunkers disappear, just like smoke. 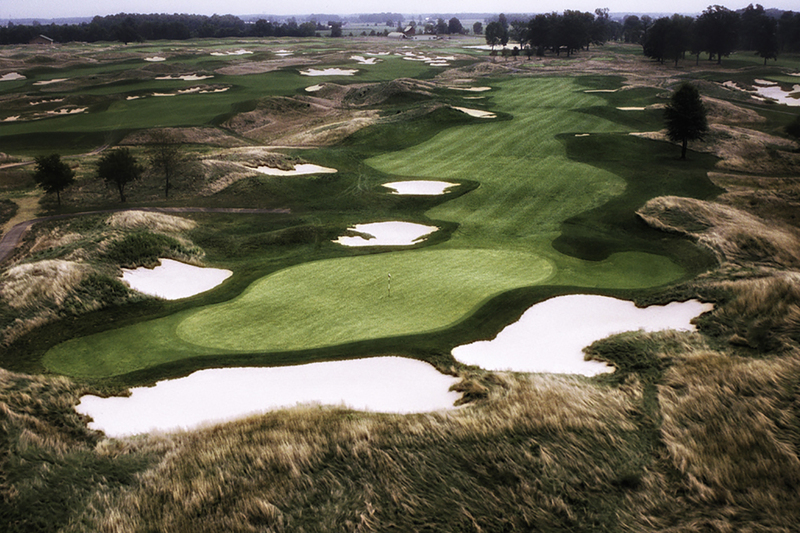 This hole requires a long tee shot that favors the left center of the fairway, followed by an uphill approach shot to a kidney-shaped, angled green.